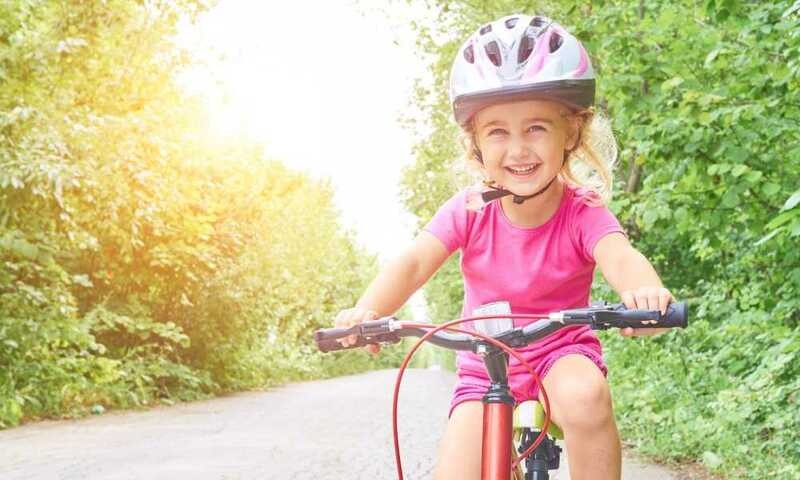 You might not be able to remember your first biking experience, but now that you’re a parent, you’re inevitably going to remember your child’s first “big kid” bike. 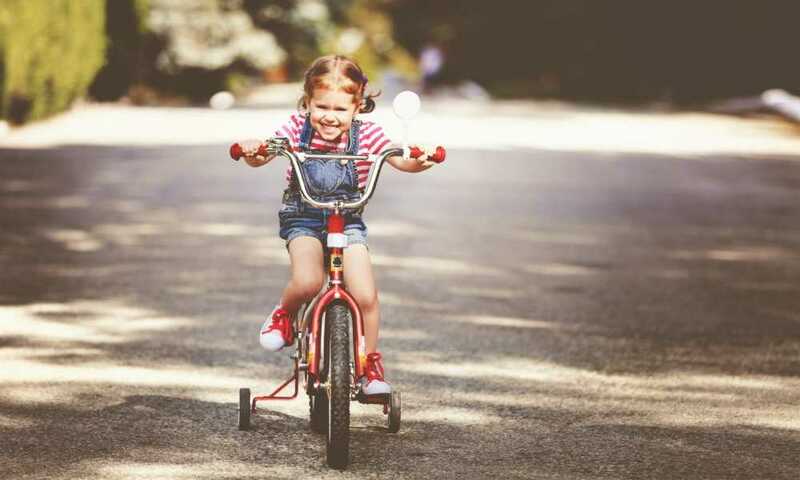 Learning how to ride a bike is a big deal, for both you and your little one. Hence, we wanted to make sure that you look into purchasing one that’s going to set them on the easiest and right path. We’ve looked into the Banana Balance Bike LT and have all the information that you need to make the perfect decision. Is this banana something you want to buy, or would you rather stick to the bundles at the grocery store? How to Use the Banana Balance Bike LT? The Banana Balance Bike LT is manufactured by a company called Banana Bike and was designed to be a child’s first bike. In addition to their signature lightweight LT model, they’ve recently released an upgraded GT model. However, when comparing the two, all we were able to notice regarding difference is the tires and a slight change in color options. As soon as you get one look at the Banana LT, it becomes clear that the bike was manufactured with children in mind. 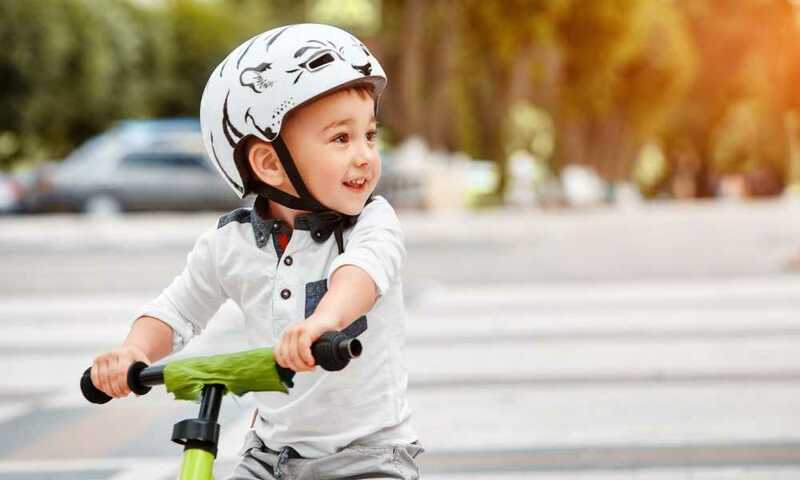 Kids as young as 18 months old can travel faster and learn balance with the sophisticated set up of the bike, but it is strictly for them and young kids. 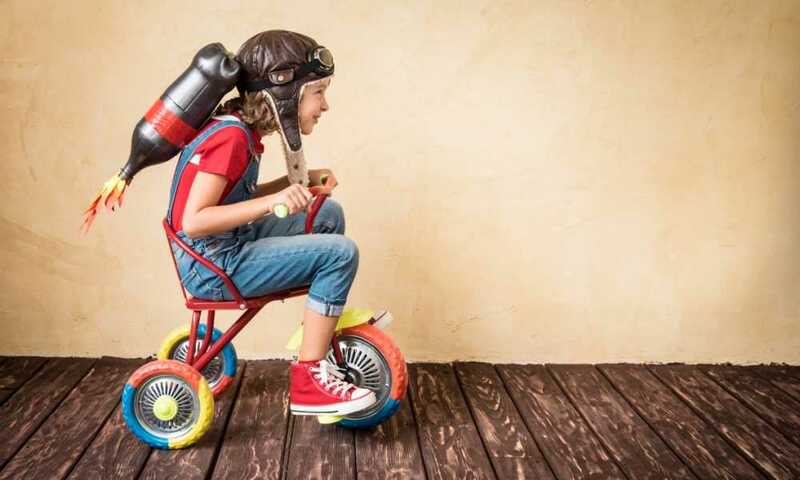 While the bike is adjustable, it doesn’t adjust high enough to be suitable for children who are already familiar with the concept of pedaling and braking. The lightweight design of the balance bike is good news because it ensures that you aren’t overwhelmed with pieces and an overly large box when it appears on your doorstep. The Banana Balance LT package includes the frame, seat, two puncture-proof tires, handlebars, spanner, and a hex key to assist you with assembly. In addition to that, there are also instructions provided should you require additional help. Remember that this bike does not arrive entirely put together as some other bikes do. Therefore, you might want to learn how to assemble it as early as now. This version of the Banana Balance Bike LT was released in 2017 and is Banana Bike’s upgraded model of the LT. The brand makes things easy by designing their bikes with three very simple, candy-colored frames that include baby blue, pink, and vibrant green. The bike itself is extremely lightweight, making it easy for young kids to handle and parents to carry around with them. The seat is adjustable, and the unique banana design makes it so that it can get very low to the ground, making it possible for children as young as 18 months to use the balance bike. At the same time, it also adjusts enough to keep up with your kid as they grow. There is a full metal headset included with the Banana Bike that makes sure the handlebars stay in place with strength and performance that is unlike any others. This feature also adds to your child’s safety. Lastly, it also has a new quick release feature for the seat, so the spanner and hex key is only required when first assembling the balancer bike. The wheels are made from a puncture-proof EVA foam, making it so that the tires don’t need to be inflated before every use. 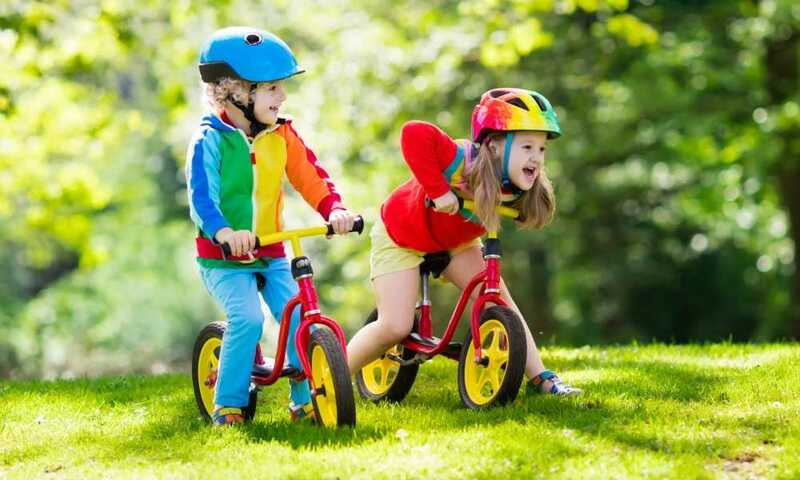 Once you’ve put the balance bike together for your little one, using it is relatively simple. Of course, if it’s your kid’s first time on a balance bike, you want to ensure that you aren’t letting them go at it on their own. The most important part is making sure that their feet can touch the ground so they can stop when they want to. You are going to need to spend some time with your child explaining the purpose of the bike and try giving an example of what you’d like them to do with your own bike. 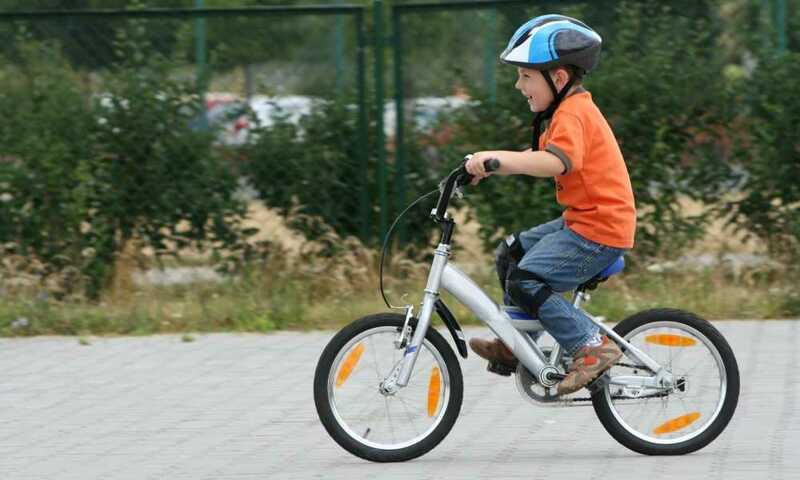 For the sake of the article, we’ve included a very brief video that shows a young child safely and accurately using a balance bike. 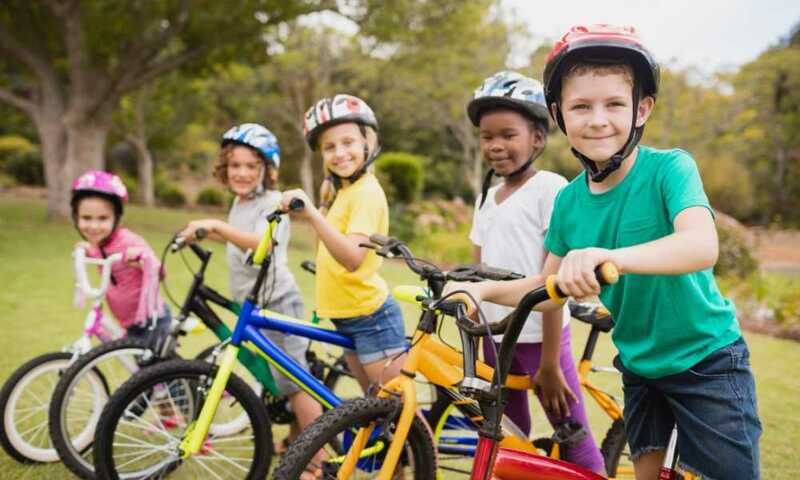 Always ensure that your little one is wearing safety gear, regardless of where they are practicing on their balance bike. 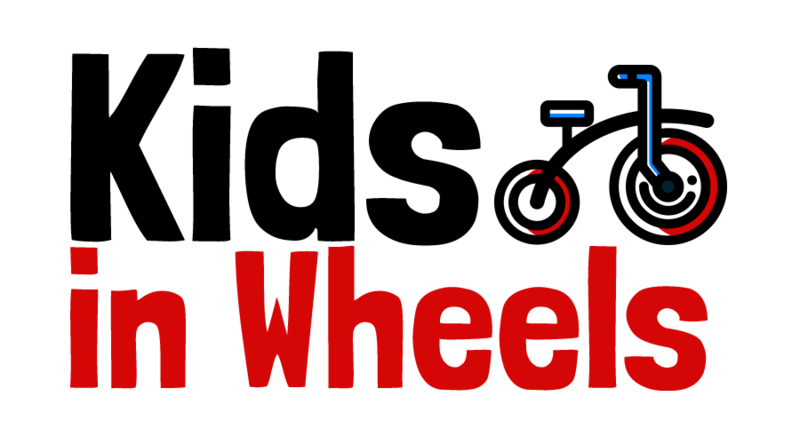 There is a wide range of balance bikes on the market for those of you who are looking to broaden your options. 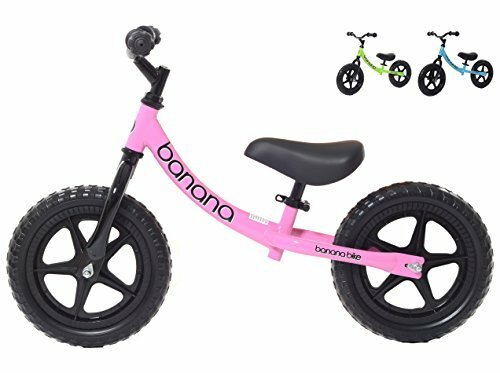 The Banana Balance Bike LT is a super affordable bike, and if you are looking for something similar, the JOYSTAR Balance Bike for Boys and Girls is a suitable option. It has a similar shape and similar features. However, if you’re looking for something a touch more durable with more color options, the Cruzee Ultralite Balance Bike is the one for you. 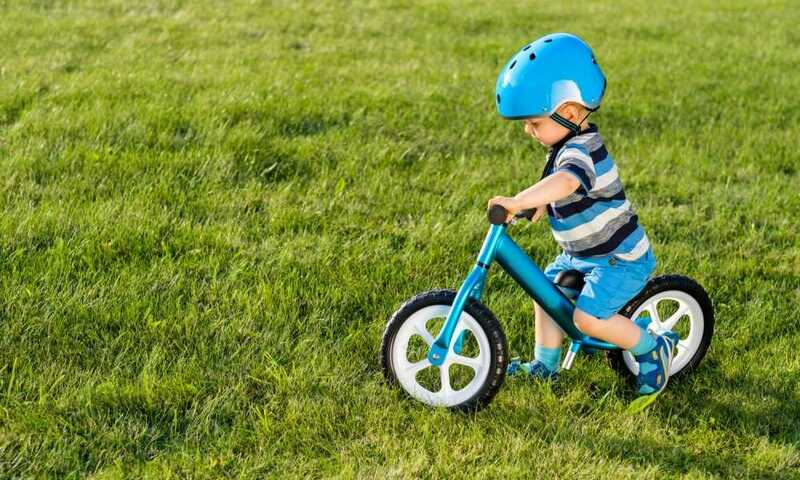 It is more expensive, though it is also considered to be the lightest balance bike on the market, includes a 100% guarantee, and has flat-free rubber tires that help to build confidence in your toddler. Overall, we were very impressed with the effort put into designing the Banana Balance Bike LT. The company makes it evident that they go out of their way to keep the cost of the bike affordable, without jeopardizing the quality of the materials used to build it. It’s lightweight like it claims, easy for children to handle, and has a fun and unique design. If you have a child that needs a balance bike, this one is highly recommended.